Release of Atlantis Word Processor 3.2.3 with new toolbar customization options (including small toolbar buttons). Jul 29, 2018. 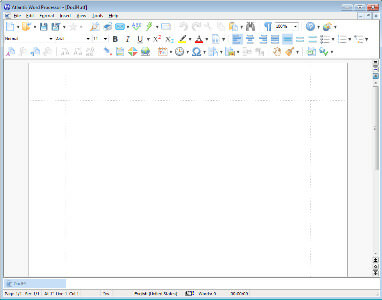 Release of Atlantis Word Processor 3.2.7 with support for horizontal lines. Sep 26, 2018. Release of Atlantis Word Processor 3.2.7.2 is a maintenance release with minor changes and bug fixes. Oct 26, 2018. Release of Atlantis Word Processor 3.2.8 with the "Writing target" feature. Nov 2, 2018. Release of Atlantis Word Processor 3.2.9 with the "Default zoom" option and new AutoCorrect-related features. Nov 13, 2018. Release of Atlantis Word Processor 3.2.10 with the Spotlight feature. Jan 17, 2019. Release of Atlantis Word Processor 3.2.10.4 with the "multiple overtype" feature. Feb 7, 2019. Release of Atlantis Word Processor 3.2.11 with the "Highlight instances of the selected text" feature.